The Confederate Colonel blog is now closed. It has been “folded into” The Southern Agrarian blog. The final blog post will give a brief description on the reasons for the change. • The Confederate Colonel site will remain for the foreseeable future as an archive. Click on the Blog Post Archive link to see the posts. • Those who subscribed to the Confederate Colonel newsletters have been moved to The Southern Agrarian list. • All comments have been closed on the Confederate Colonel site. • For Contact information, please go to the Southern Agrarian site. Confederate Colonel is an online community of those striving to live the life of the Southern Gentleman or Southern Lady in today’s world. It is Chivalry with a Southern accent. It is the New Life of The Old South. It is a rich heritage waiting to be claimed by those who strive to live life with the quiet dignity that once exemplified life in the South. It is gracious Southern living at its best. What is it that ma kes the South so beautiful, so gracious, so culturally rich, and so uniquely appealing? Part of the answer might be found here at Confederate Colonel. We hope you enjoy your visit, and we hope it helps you live the dreams of a new Southern nation that our ancestors once had. Those dreams are now carried on by those of us who cherish the sweet smell of Confederate jasmine, the sound of a breeze gently blowing through moss-draped oak trees, the taste of cool lemonade poured into a tall glass while sitting on a porch swing, and the splendor of the sun setting through tall Ponderosa pines. 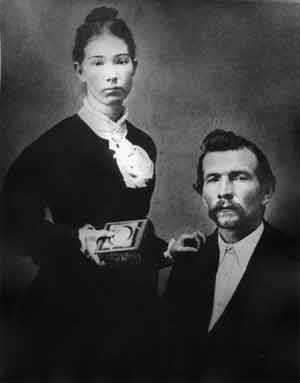 The photo shown here is of William Pelham McGehee and his wife, Sarah – they are the inspiration for Confederate Colonel. William served in the Confederate States Army in the Washington Artillery. He was captured at the battle of Petersburg and held in the federal prison camp at Point Lookout, Maryland. After the war, he returned home to his farm in Alabama. These are the Great-Grandparents of Stephen Clay McGehee – the founder of the Confederate Colonel project. There are many faces of The South. The popular media image of a Southerner is some combination of NASCAR, “professional wrestling”, ball caps advertising Redman chewing tobacco, and pickup trucks flying a “rebel flag”. In other words – “redneck”. That is a stereotype promoted by the media; unfortunately, many Southerners have adopted that stereotype as their own. While we certainly have no authority to define Southern culture, that is not what we are about. Here at Confederate Colonel, we take our inspiration from the original Southern Gentleman – Robert E. Lee. Before we leave the topic of “redneck”, we need to give credit where credit is due. We owe a debt of gratitude to the redneck culture. They have proudly displayed the symbols of The South and defiantly proclaimed their Southern heritage while most of those who disdained that lifestyle, long ago surrendered to the cultural marxism of “political correctness.” If we do not make some major changes in the way we view our Southern heritage and culture, the last Confederate flag seen in public will be one displayed on the dented bumper of a rusty pickup truck along with NASCAR and Redman bumper stickers. We must not let that happen. Although the War is clearly the defining moment in our history, it is still only a few short years in what really makes up The South. The South did not die in 1865. Here at Confederate Colonel, we don’t focus on the War for Southern Independence, but rather on the broader issues of Southern culture during the Antebellum period – the Golden Era of The South – and how it still relates to Southerners today. It should be noted that for our use, “Colonel” refers to an honorary civilian title rather than a military rank. The title of Colonel is a custom still observed in several Southern states. We specify the Southern Gentleman and Southern Lady as opposed to the simple terms of “gentleman” or “lady”. There is a difference. The word “gentleman” is also used for the English tradition of the gentleman. That is largely determined by birth and the English nobility structure. The Southern Gentleman, on the other hand, has no formal connection to the family one was born into other than the fact that the characteristics of a Southern Gentleman are usually passed down from one generation to the next in families that value those characteristics. One can overcome the place and circumstances of his birth and be a Southern Gentleman by making the decision to follow that path. The “Southern” in Southern Gentleman also refers to the warmth and traditions of Southern culture. While the emphasis may appear to be on the Southern Gentleman, the Southern Lady is of equal significance at Confederate Colonel. References to “Gentleman,” in most cases, also apply to “Lady” – we will not play linguistic political correctness games in order to appear “inclusive”. That is understood by any Gentleman or Lady. That which makes The South such a beautiful culture is sadly missing in today’s “politically correct,” multi-cultural world. It takes a conscious effort to recover that lost culture and way of life. Confederate Colonel is where you’ll find Southern Gentlemen and Ladies who live life with the quiet dignity that the title Gentleman or Lady calls for. The goal of Confederate Colonel is to remind you and those around you that The Lost Cause was an ideal worth fighting for – and certainly worth making a part of our lives today. While we would love to be able to sit back and enjoy all that our Southern culture and heritage has to offer, a wicked and perverse world continues to intrude into our lives. In response, we must devote ourselves to defending our culture, our heritage, and our kinship – just as our ancestors did. Confederate Colonel serves as a forum to develop creative ways to actively defend against the rapidly growing attacks on The South. The topic of slavery is frequently discussed here at Confederate Colonel. It is what The South has been hammered with for over a century and a half, so we certainly have every right to stand up and offer a rebuttal to false charges – and provide context for legitimate charges. … We stand for the culture ordained and demanded by God; our enemies serve His enemies – knowingly or in ignorance. But our side is thin-blooded, frightened not of martyrdom or death, but of ridicule and insults! We must protect these flags not as the secular symbols of a great if short-lived nation or even a great and abiding culture, but as the last stand for all that is good, decent and godly in a world quickly “slouching toward Bethlehem” to pay tribute to what is going to be born there – not Our Savior, certainly. Stephen Clay McGehee started the Confederate Colonel project in September 2007. He is Webmaster General of the Military Order of The Stars and Bars and a former Adjutant in the Sons of Confederate Veterans. 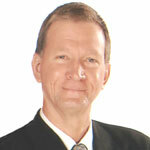 He has been the president and owner of Adjutant Software, Inc. since 1995, and is vice-president of Gather The Fragments Bible Mission, Inc. He was awarded the title of Kentucky Colonel on September 30, 2004 by the Governor and Secretary of State of the Commonwealth of Kentucky. In the personal category, he is a happily married, saved, born-again Christian who believes that the Authorized KJV Bible is the literal inerrant word of God and that every word in it is the literal truth. He is enjoying the title, “Grandpa”. The Confederate flag flies year-round atop a 25′ flagpole in his front yard in a rural part of Florida. Be sure to visit The Southern Agrarian. This was originally a part of Confederate Colonel, but Southern Agrarianism would be better served on its own site. The Southern Agrarian movement is at the very heart of Southern culture; it is the strong tie to the soil that sets the Southern gentleman apart from other gentlemen. • Confederate Colonel has been on line since September 22, 2007. • The photo used for the header was taken by Stephen Clay McGehee at the Dudley Farm in Newberry, Florida. This work by Stephen Clay McGehee is licensed under a Creative Commons Attribution 3.0 Unported License.